The concert, presented by KCKL 95.9 and the Athens Daily Review, comprises a mix of western, spiritual and popular Christmas classics, with a little humor and yuletide cheer thrown in. 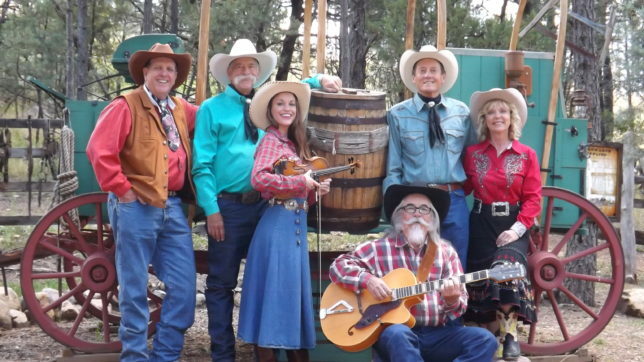 A CASA Country Christmas is an all-ages show that “ho ho hopes” to entertain and fill the crowd with Christmas spirit. All proceeds from the concert will directly benefit CASA of Trinity Valley in its efforts to recruit and train CASA volunteers to give a “voice” to abused and neglected children in court and the foster care system. Last year, CASA volunteers in Henderson, Anderson and Cherokee counties advocated for 815 children. This year, that number is projected to be even higher, Heglund said. Doors open at 6:30 p.m. Friday, Nov. 30. Tickets are $10 for adults and $5 for children over 6. They are available in person at CASA of Trinity Valley, 1104 E. Tyler St. in Athens, and at Kathy’s Boutique, 122 N. Palestine St. in Athens. 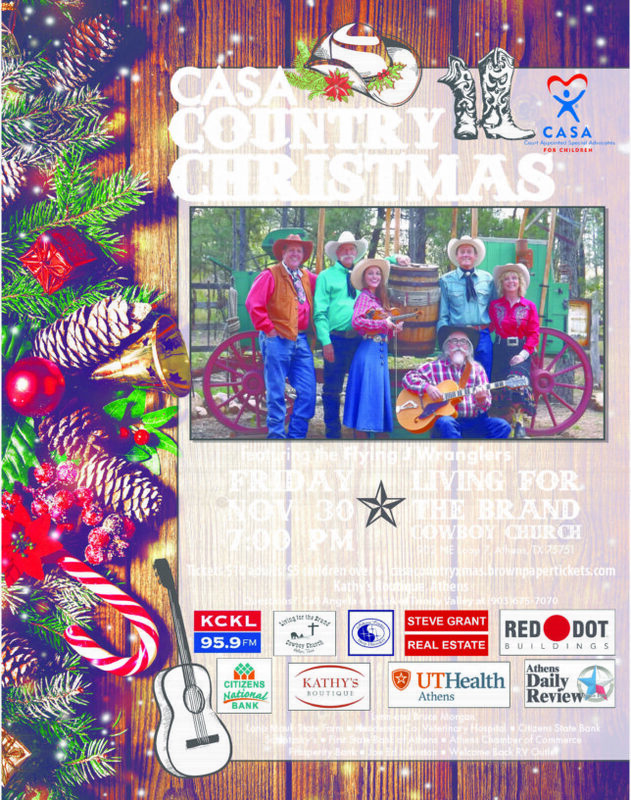 Tickets can also be purchased online at casacountryxmas.brownpapertickets.com.